The side yard went through some radical change last week. 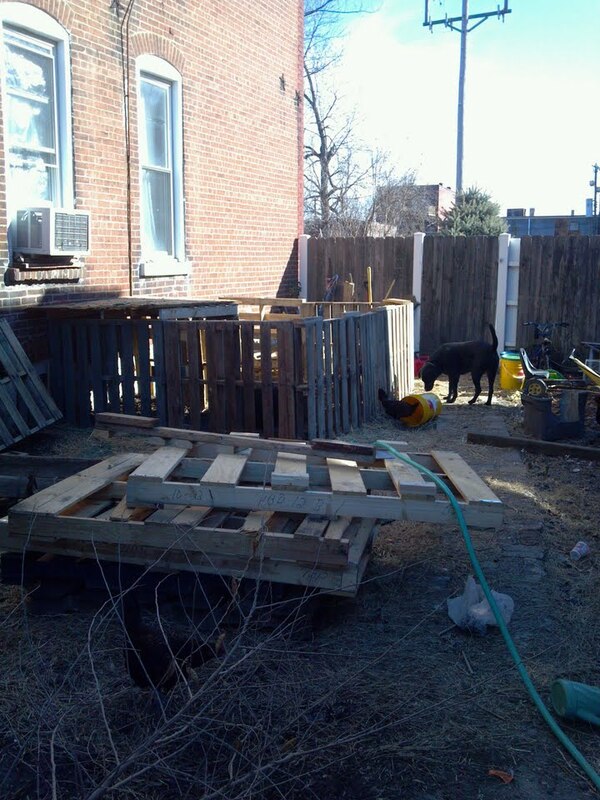 Two of the principle players of the Carondelet Urban Farm, Mark and Handy Dan came over and set up this lovely functional pig pen in the side yard. 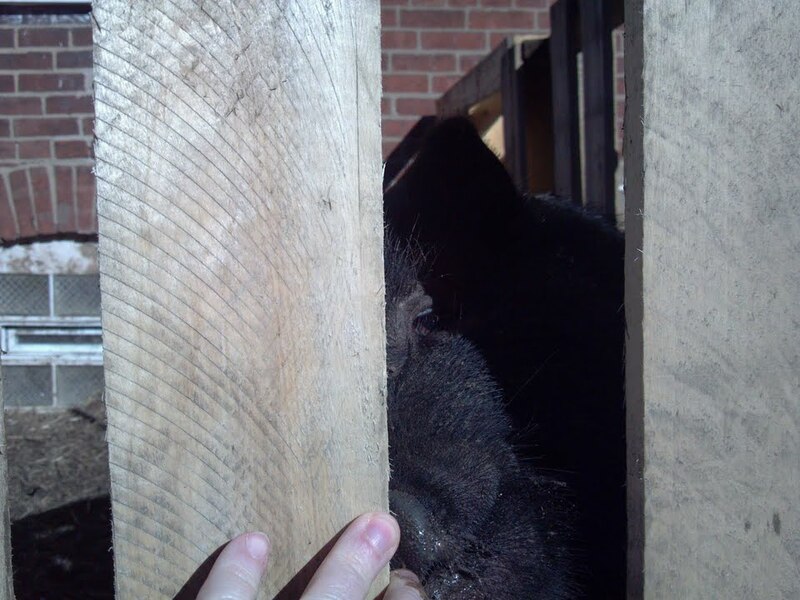 The farm has a pair of pigs at another location breeding for food. In about an hour and a half, Spiderpig was in his new home! What am I going to do with him you ask? I don’t know. My main concern was a constant source of manure. The rabbits and chickens just don’t provide enough. He’s a neat little guy, a micropig. 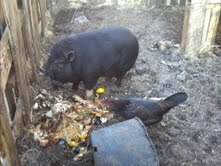 We feed him restaurant scraps and help the community be more sustainable. He couldn’t be easier to take care of and he is enjoyable company. 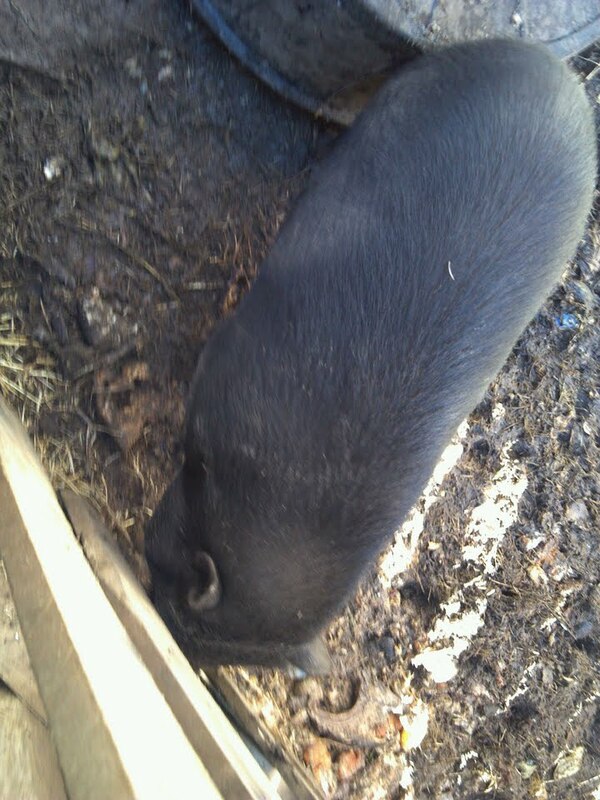 I keep straw for his bedding which keeps the smell down and look forward to cleaning out the hog floor for the garden. The chickens like him too. Adding livestock to the garden increases the output of vegetables and makes gardening a more satisfying experience overall. This is what I am reading this month. (Click on the picture to buy and help support this blog!) Hopefully I can get a review out soon. It’s really geared to raising regular hogs in a hog operation, but I think it will provide useful information to having a pig in the yard.